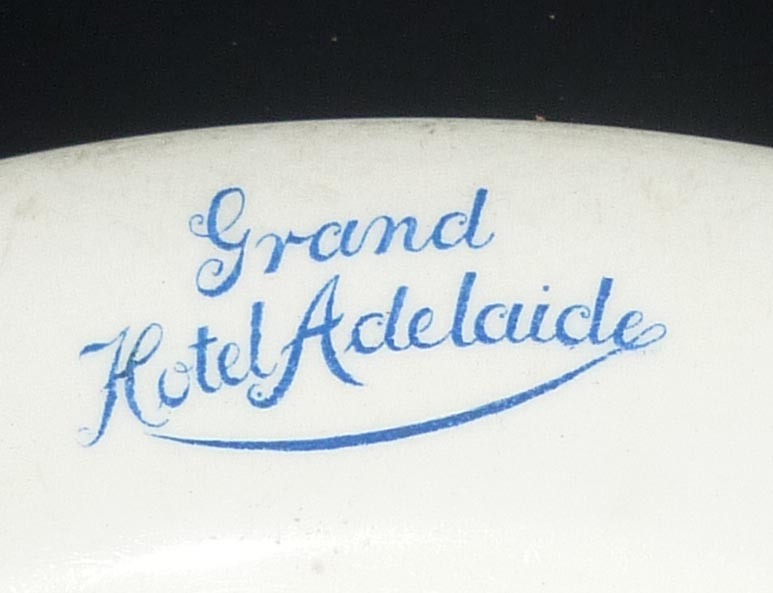 The Grand Central Hotel, on the south-east corner of Rundle Street and Pulteney Street, was in its heyday Adelaide’s Dorchester. It was built in 1910 on the site of the York Hotel. The giant facades were decorated with a complex pattern of string courses, pilasters and mouldings of every description. The bay windows rose to almost the full height of the building, and the corner bow window was capped with an open turret. 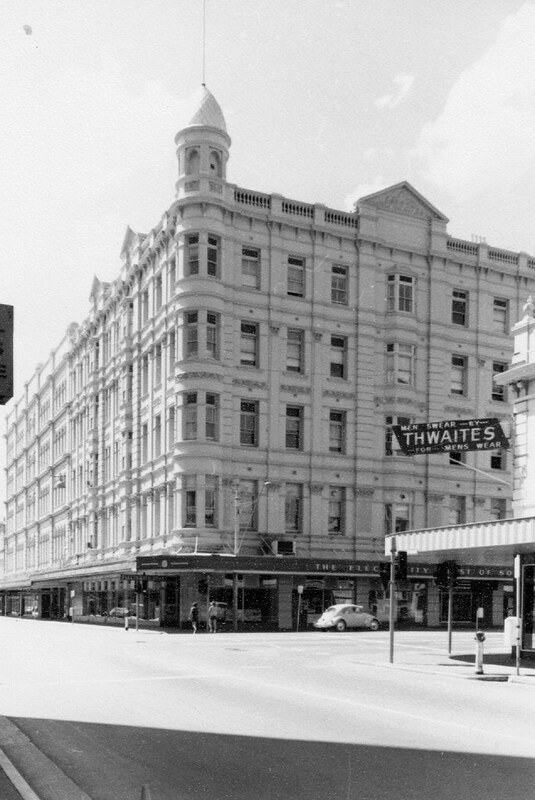 The hotel did not prosper, although it had many important and colourful guests, including the Prince of Wales in 1920, and in 1926 it was bought by Foy and Gibson’s an Adelaide department store. Unsuitable cantilever verandahs replaced the cast-iron one in 1938, and the building was sold to the Electricity Trust of South Australia when Foy and Gibson moved elsewhere in Rundle Street. Its demolition by the state government in 1975-76 to build a multi-storey carpark was unfortunate, for although strictly an Edwardian building, it was the only example of giant high Victorian style that Adelaide possessed. 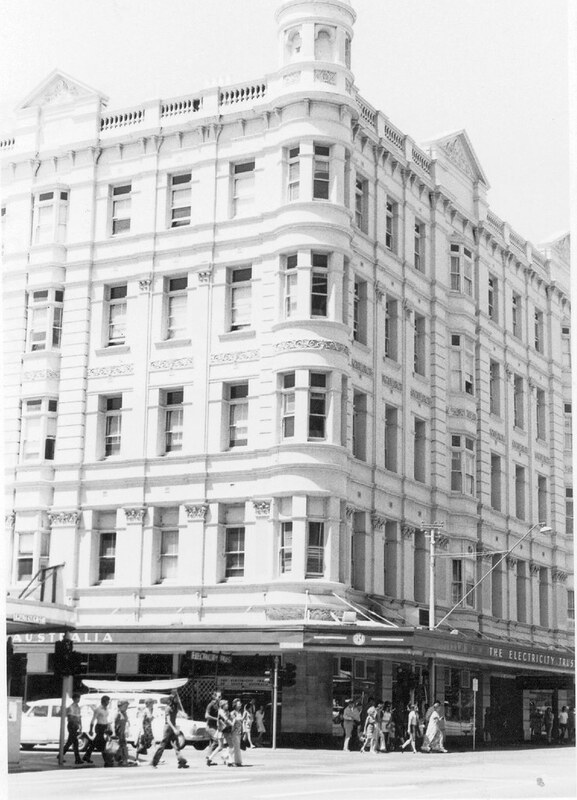 The site is now known as the Rundle Street carpark, recently adorned by the Rundle Street ‘lantern’. Love the wonderful old photos, and especially the fact that they can be enlarged for a good look! Thanks Dave! Yes we are trying to build a library of photos for each site- past and present. Donations are welcome! Just curious – the site mentions a limit of 250k bytes for a photo, or is there another way to give you higher resolution images if people have them? Hi Dave, the file size should be set higher than that. I’ll review it and get back to you. 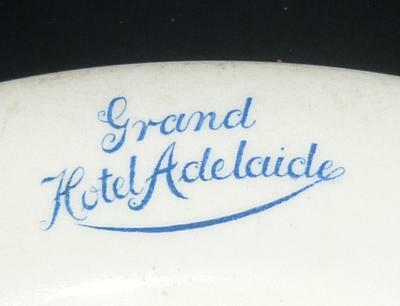 We also have a Flickr Group pool at http://www.flickr.com/groups/adelaideheritage that you can join and contribute to. We would welcome your contribution! Dear NTSA, I believe from researching other sites that the caption for your first (of three) photographs of Gibson’s ‘Grand Central Hotel’ is possibly incorrect in the date. Shows as 1980, but I think that the hotel was demolished in c. 1975/1976. It was indeed a grand hotel, and an interesting, but little known fact is that Sir Arthur Conan Doyle (author of the Sherlock Holmes stories, and a spiritualist) stayed in the Hotel from 21 September 1920 until 29 September 1920. He presented several lectures on spiritualism at the Adelaide Town Hall, and visited the SA Museum. I believe that the Museum is presenting a small display about this, in early/mid September. Yes, you are correct Jennifer, the hotel was demolished in 1975. The Arthur Conan Doyle story is an interesting one. We will see if we can find a photo and add it to the story. I can’t believe this building was demolished for a car park. I first saw this building in the Adelaide Advertiser this week as part of an article in Boomer-remember when. It is so sad this building has been lost. 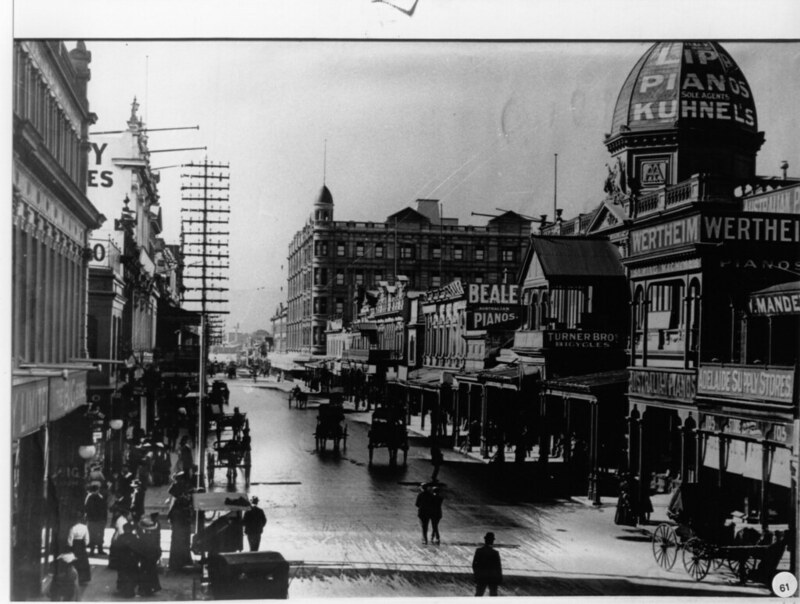 As someone who has only lived in Adelaide for the past 5 years, there is a lot I don’t know about the city, so I really enjoy reading past accounts of it & seeing the photos. The caption on one of those pictures are wrong. How can the building be still standing in 1980, if it was demolished in 1976? Good pick up Mike. Our mistake- now amended. Thanks for the comment. Demolishing this beautiful building was an unforgivable act of vandalism. What the hell was Dunstan thinking? Utterly heartbreaking. A dinner late crest from the Grand. Sir Arthur Conan Doyle stayed there with his family when he visited Adelaide to present his first lecture on. Australian soil in 1922. For more info contact the Sherlock. Holmes. Society of. South. Australia. I believe my Grandfather bought at auction a wardrobe and dressing table from this hotel. The story says the Prince Edward who became Edward the 8th used it.